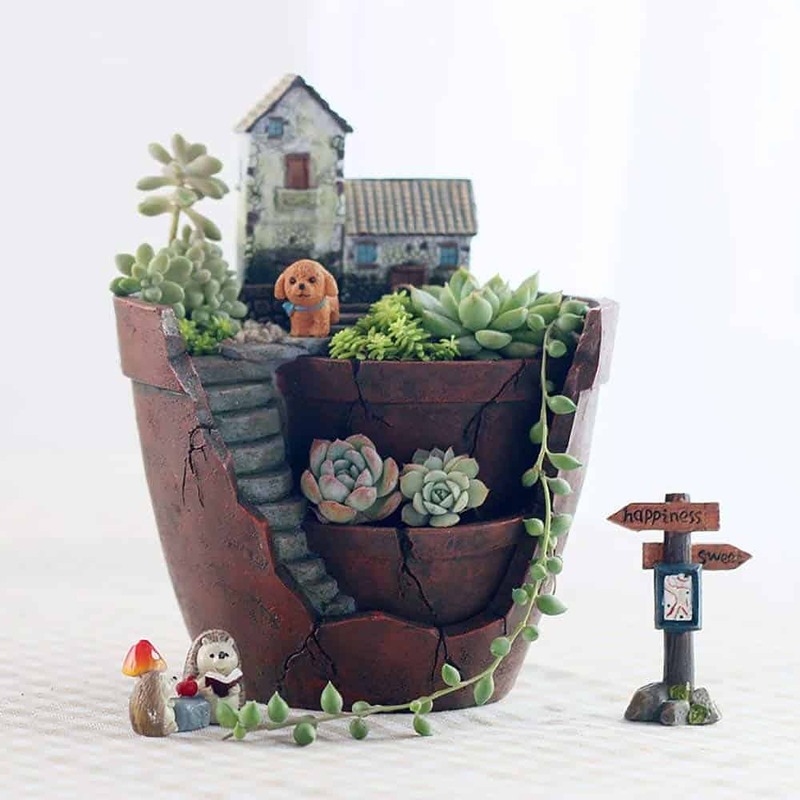 Adding more plants to your growing succulent garden can be tricky when you have four-legged friends on the prowl. Given that dogs often enjoy a vegetable (or plant!) treat, it is essential that you are sure your additions are safe for your pet in case of accidental consumption. That means no thorny spines and no poison. Take a look at these gorgeous, and non-toxic, succulents that are guaranteed to bring color and beauty to your indoor or outdoor gardens. Click to buy this beauty from Planet Desert! There are three kinds of holiday cacti. The Christmas Cactus, pictured above, is genuinely spectacular when in bloom, producing vivid flowers in an array of colors. 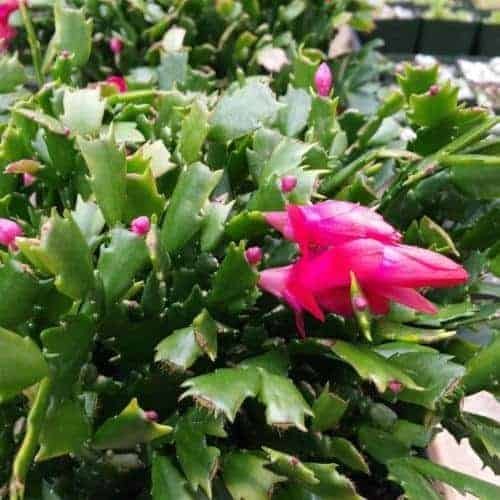 So named for the time of year that they bloom, this cactus can require careful care in terms of watering and sunlight levels, though as a houseplant, they are generally easy to take care of. With stems formed from inter-locking leaf-like pads, sufficient growth gives them a long, dramatic look and makes them ideal for hanging displays or on a higher shelf. Fuzzy, right? Get ’em from Leaf & Clay! One of the most popular types of succulent, the Sempervivum family of plants are all non-toxic to dogs. They’re also frost-resistant! Sempervivum make excellent garden plants as well as being comfortable in the home. They only require moderate watering and filtered light or shade. There’s a vast variety to choose from, from the feathery ‘Cebenese’ to the green and red ‘Tectorum,’ guaranteeing you will find the perfect plant to add to your collection. Grab these and more from The Succulent Source! Most, nearly all, Echeveria are safe for pets. These succulents are colorful, simple to care for, and happy in both indoor and outdoor gardens, though they must be protected from frost in cooler hardiness zones. With their compact rosettes (often brightly colored) and blooms that rise on tall stalks, these striking plants are safe for your dogs and make for a delightful centerpiece. Easy to propagate and great for beginners, the Echeveria is another pet-friendly variety with a huge range of plants to choose from. 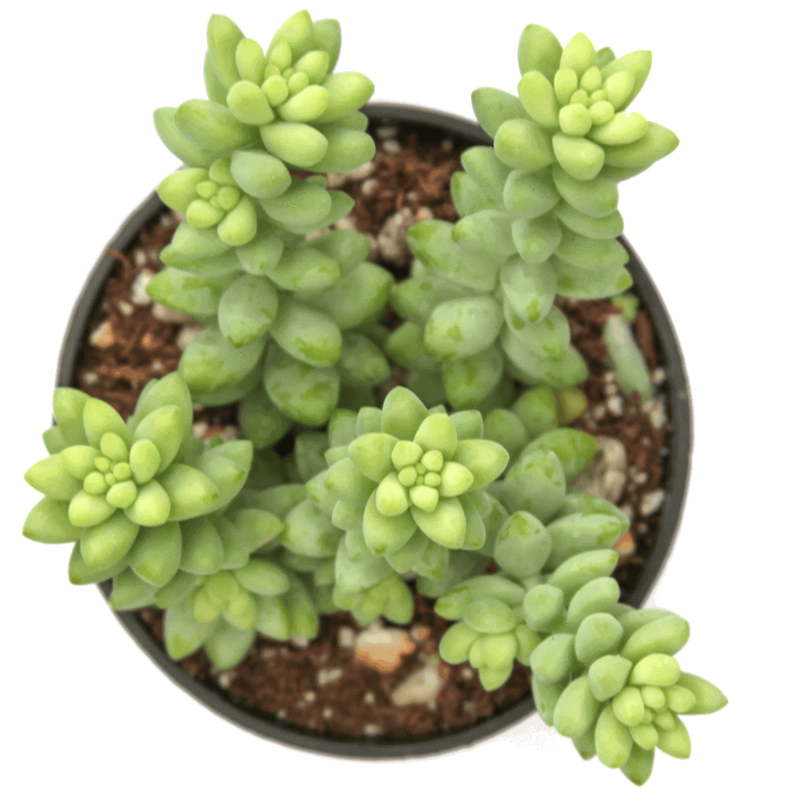 A trailing succulent, the Burro’s Tail is a sprawling plant which is perfectly suited to a hanging arrangement or allowed to spread along a windowsill or shelf. Characterized by plump, clustered leaves of bright blue-green make this succulent a fresh addition (or succulent treat for your dog). Burro’s Tail do great indoors, unlike many other succulents. They are happiest when in bright or filtered light and thorough watering when the soil is completely dry, this plant produces pink to red flowers in the summer months, making it a pretty addition to your collection. 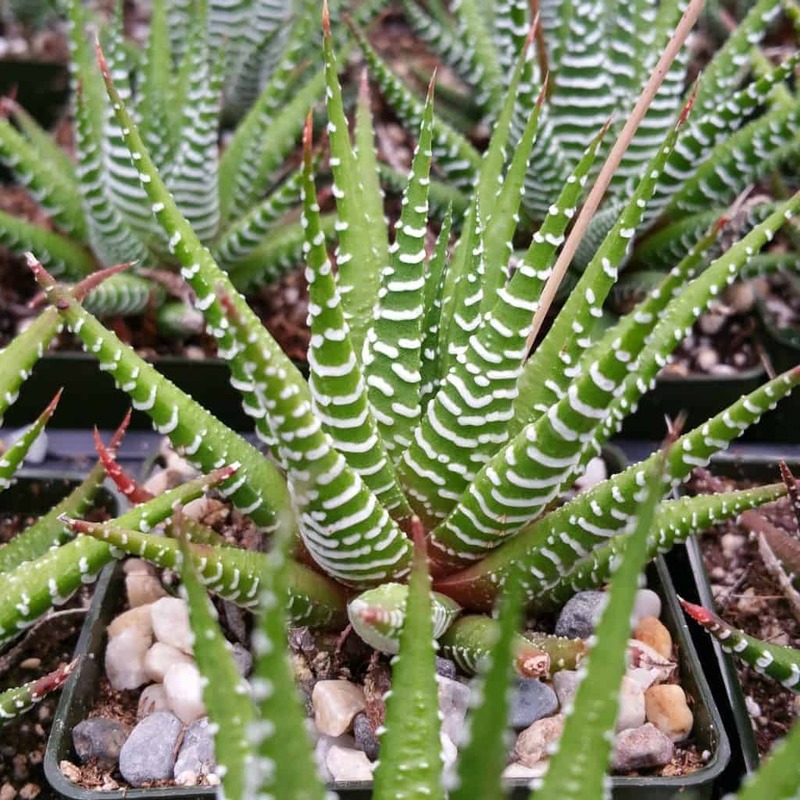 You can get this Haworthia (and more!) at Planet Desert. Another genus with a large variety of individual plants, Haworthia are small succulents with a range of leaf colors, shapes, and sizes. Most or all of these are non-toxic. The one above, Haworthia fasciata, is a popular choice because of its striking colors. 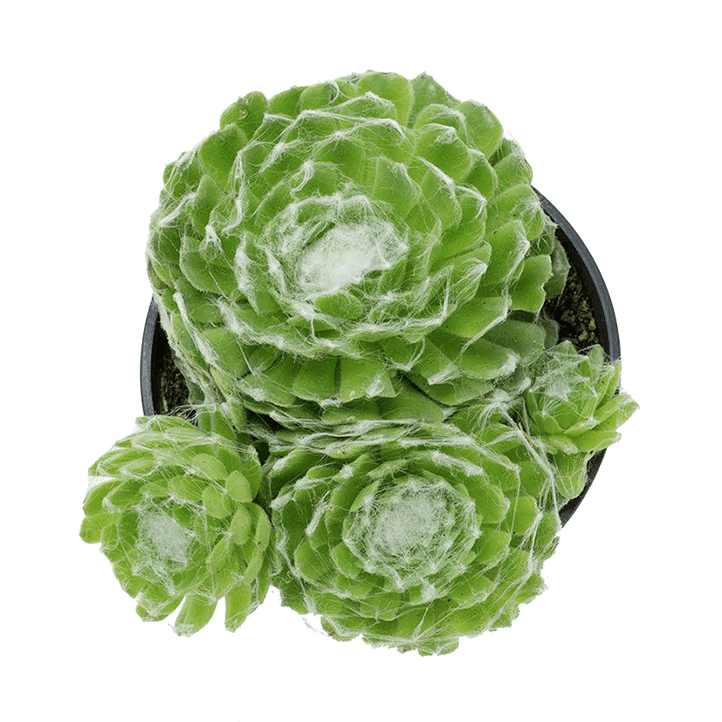 Healthiest when shaded or semi-shaded, these succulents prefer well-drained soil but are generally very tolerant of variable watering conditions. With around 150 species under the Haworthia name, from the striking, striped ‘Zebra Plant’ to the pale, ethereal ‘White Ghost,’ these delightful plants fit in seamlessly with the aesthetics of any existing succulent garden. Pretty in pink at Leaf & Clay! 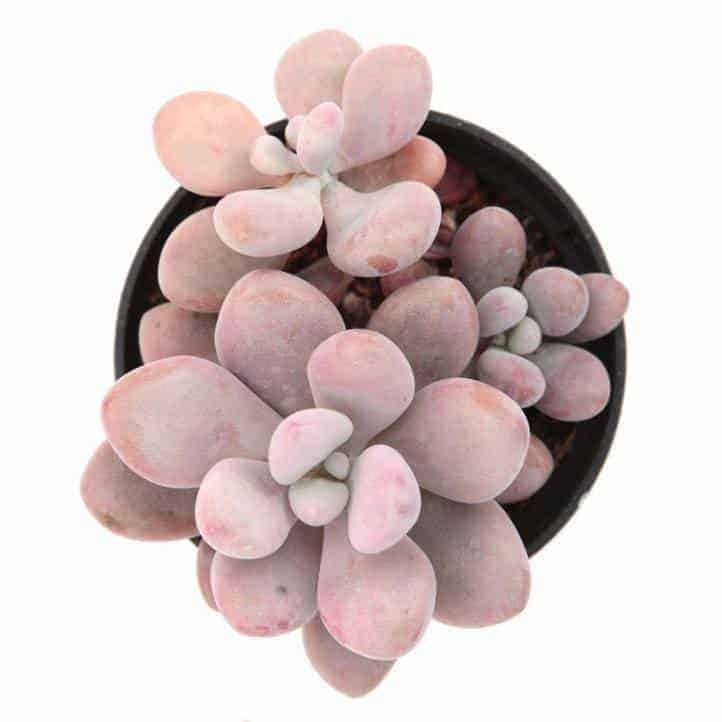 This lovely little succulent is formed of plump, delicate, bell-shaped pink leaves which grow in clusters. As a tender succulent, this particular plant is not frost tolerant, so if you live in a colder hardiness zone it must be kept inside during the winter. Preferring bright light, this succulent should be shielded from direct, hot sunlight to avoid damage to the leaves. It should be noted that this plant is pretty fragile, so while it is non-toxic, it should be kept away from where it could be bumped into and damaged. 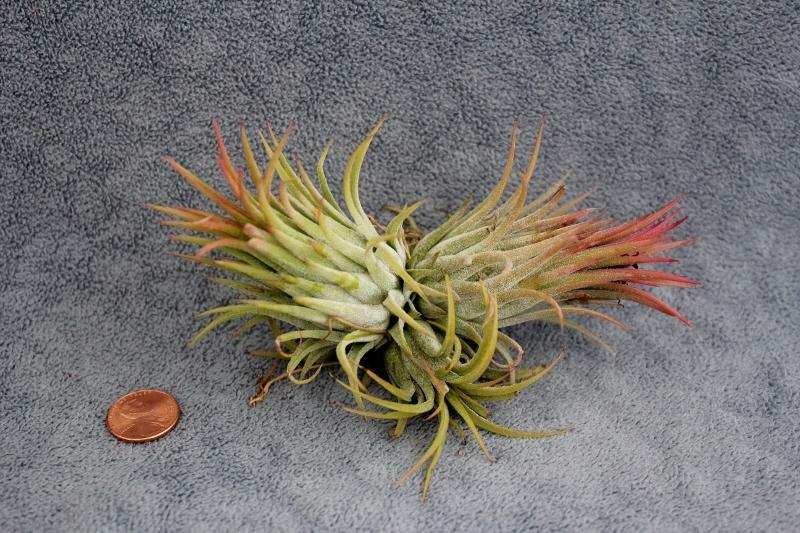 If you are looking for something particularly new and exciting, why not try an Air Plant? They don’t require soil to grow but can be attached to different surfaces and plants to create incredible arrangements. The impressive variety of leaf shapes and colors give you the artistic license to create a stunning display. Thriving in humid environments, these plants must be kept above freezing and away from hot and dry conditions, staying hydrated by being misted with water (or submersion). Check it out on Planet Desert! 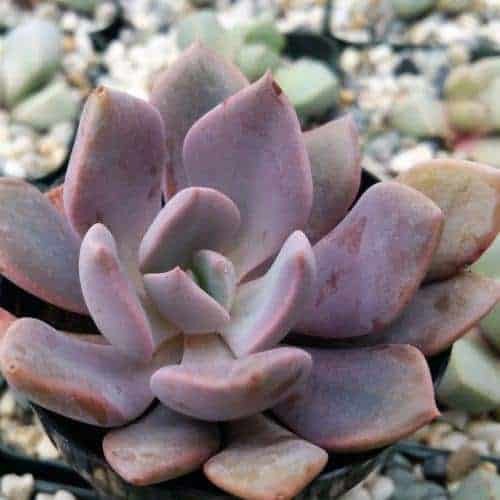 A hybrid, comprising of both Echeveria and Graptopetalum genera, this plant grows in a rosette shape with green and dusty pink leaves, with tight clusters forming close to the soil. It’s hardier than some others on this list. This summer-grower can be planted outside and will thrive in bright light and ample airflow. But be sure to protect from frost in the winter! When stressed, ‘Debbie’ can turn almost violet, with springtime bringing apricot-colored flowers for an intense and beautiful accent. Click the pic to go to Planet Desert and get some semps of your own! Growing upwards and outwards, the Aeonium genus of succulents has a penchant for reaching impressive heights of three feet! 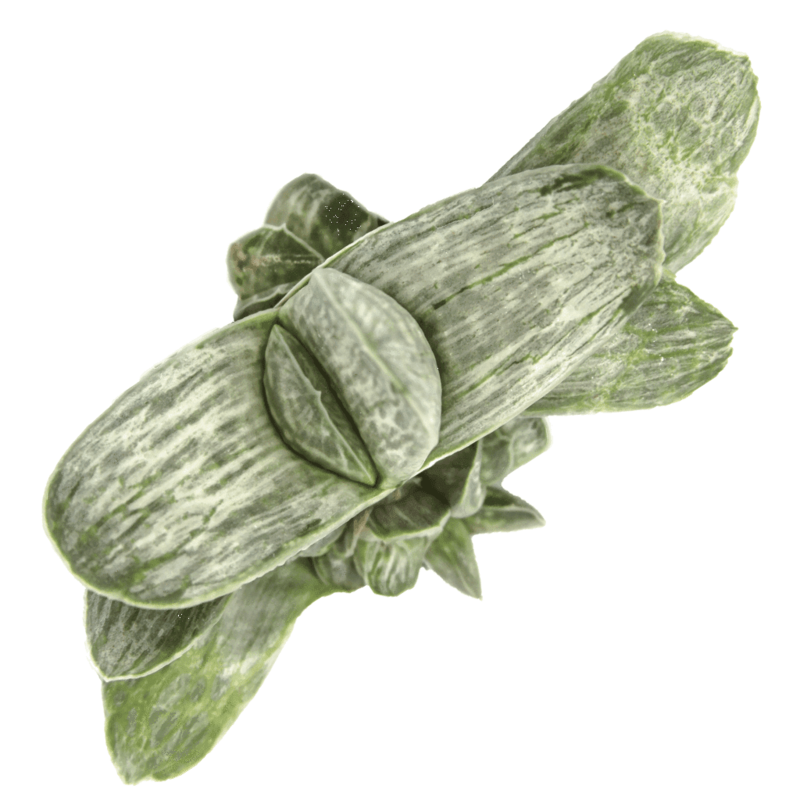 Formed as a spreading rosette, this plant is monocarpic – when a particular stem blooms, it will then die back, each stem being able to bloom only once. Hardy to just below freezing, this succulent tolerates both full sun and shade and needs infrequent but deep watering. It is relatively easy to care for, making it an ideal succulent for beginners and more experienced gardeners. Lookin chunky over at Leaf & Clay! So named for the stomach-shaped flowers that form, Gasteria is a genus which is native to South Africa and prefers a warmer climate for ample growth. These plants tend to grow slowly but are very easy to care for and often have very long lifespans. The ‘tongue-shaped’ leaves make them an unusual addition to an indoor garden and can be cultivated outdoors providing the temperature does not drop below freezing. Blooming in spring, the flowers vary in color, from bright orange to pinkish-red. Look yummy, Click to get one! 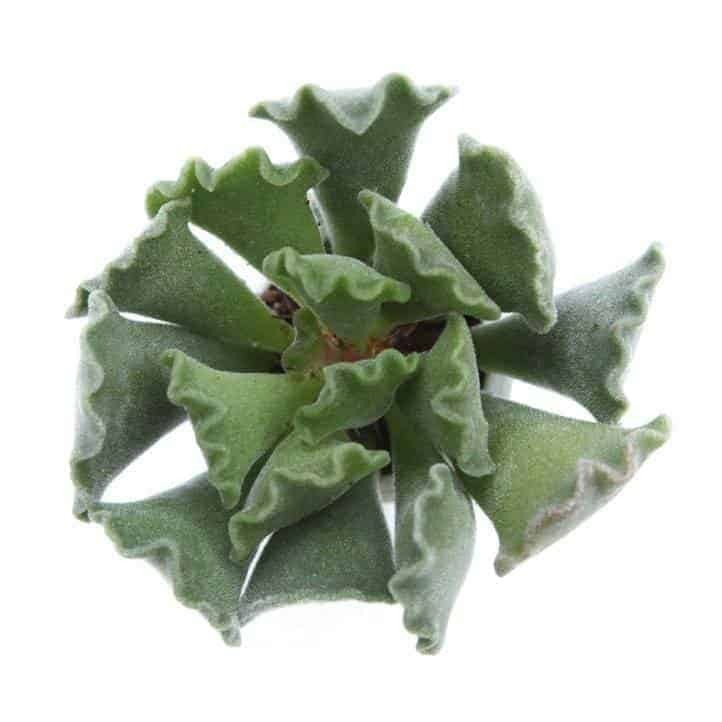 Also known as the ‘crinkle leaf plant’ and ‘Pie Crust,’ the unique shape of this succulent makes it an eye-catching addition to your collection. Thriving in bright light with plenty of airflow and well-draining soil, this plant is easy to care for both indoors and outside since it’s hardy to 25°F. Tubular white flowers bloom in the spring and summer seasons, and when given ample light, the ends of those delightful crinkled leaves will take on a red hue. Although these succulents are non-toxic to your dogs, it is advisable to keep your furry friend from nibbling on your plants anyway. Plants ain’t cheap!